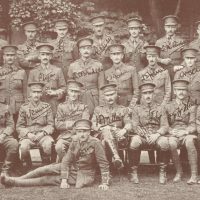 Eric was born on September 2nd 1880, at Steyning in Sussex, the third and youngest, son of Major-General Alexander Reid, who was a member of the Bombay Staff Corps. 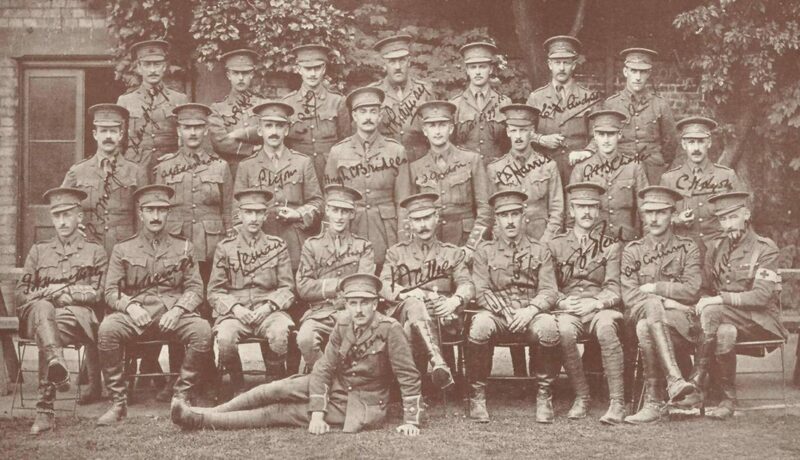 He spent just over three years at Dulwich between September 1894 and Christmas 1897, leaving whilst in the First Army Class to take up a place at Sandhurst. He spent two years as a cadet, passing out at Christmas 1899 and shortly afterwards, on January 20th 1900, taking up a commission in the North Staffordshire Regiment. 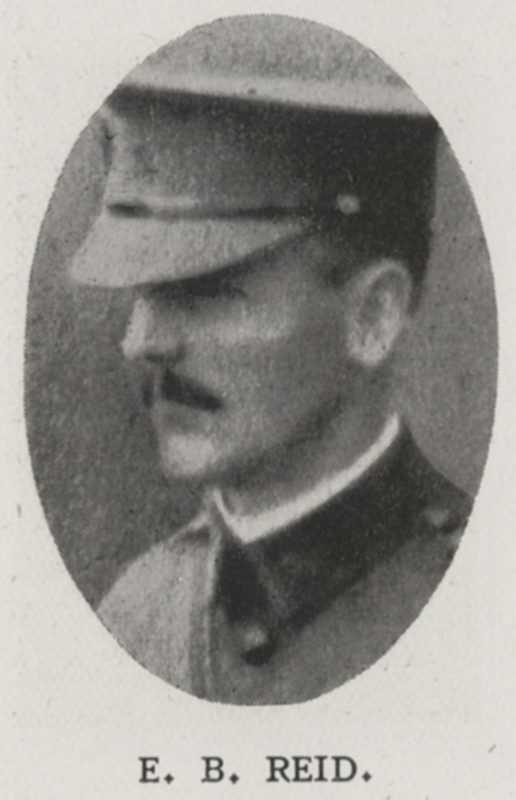 He was subsequently promoted to Lieutenant that November, and once more to Captain in August 1908. 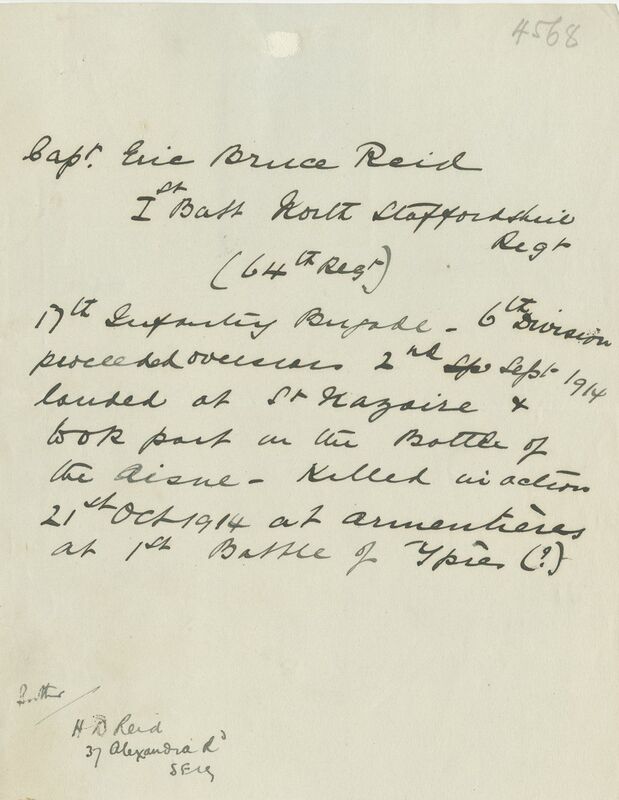 In early September 1914 Eric, along with the rest of the 1st Battalion of the North Staffordshires, went over to France, landing at Saint Nazaire, and became part of the 17th Infantry Brigade, 6th Division. For the next six weeks or so he was involved in front line fighting, including the Battle of the Aisne later that September. On October 21st he was killed in action near Armentieres and lies buried at the Chapel there.